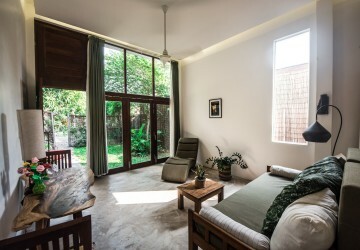 throughout Cambodia, including apartments and flats, serviced apartments, villas and townhouses, condominiums, and lands. Home is a permanent place where many family members live. Single-family house - stand-alone structure usually consisting of only one level. Group home - a private residence built to cater to children or adults with disabilities. Typically there is a trained caregiver in the premises to provide round the clock care. House - a family owned residence used for temporary accommodation. Lodging - is a type of residential accommodation for who travel and need a temporary place to stay. Tax residence - commonly used for tax purposes but not as a place to live. A residential area is a specific area dominated by housing structures. Housing spaces may be single or family owned, multi-used, or commercial. A residential area has a smaller floor area than businesses or commercial spaces. Residential development is real estate designed for residential use. An example of this type of real estate is a subdivision or “Borey”. It is land divided into lots where they build houses. The use of land determines its classification. Residential properties can be single-structure occupying a single plot of land. It can also be many housing units on the same land - as in the case of condominium buildings. Apartment – is a unit on a multi-storied apartment building. It can also be a single level structure with many units. Each apartment generally has its own door. Multi-family house – This type of residential structure is usual in multi-story separate buildings. Each unit occupies a specific level. Townhouse / Rowhouse – is a single or multi-unit structure in a continuous row. Units share walls and have no space between units. Condominium – is a residential building that has the same characteristics as an apartment. The only difference is the type of ownership. Condo units have outright ownership thru a Strata title. Common amenities like swimming pool, gym and elevators are co-owned by the unit owners. Cooperative Dwellings – is like an apartment but is better characterized as multiple ownership. Each person has a share in the corporation that owns the property. And they get the privilege to occupy a specific apartment or unit. Duplex – Two units sharing the same wall. Houseboats – are floating homes usually seen in coastal areas. Tents – is a temporary house that uses fabric for roofs and walls. 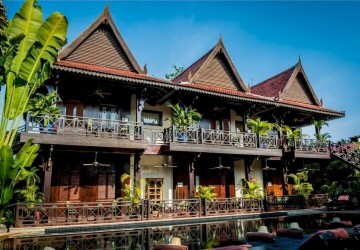 Cambodia has a wide range of residential properties options available in all areas. Prices depend on location, quality of furnishings, the number of rooms and the additional amenities. Commercial areas and business districts are generally more expensive than provinces and small towns. 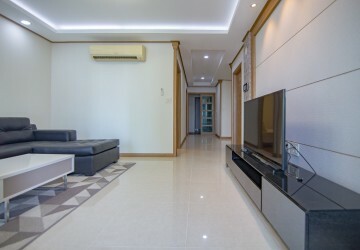 There are many places in Phnom Penh where you can invest or rent a property. The following places are the most popular areas for foreigners to live in. BKK 1 is called “foreign capital”. It is also the main economic hub of the city. BKK 2 and 3 are popular residential areas that offer cheaper options for apartment, villas and single unit houses. 7 Makara is home to the Olympic Stadium, O’Russey Market and the Borei Keila community. Daun Penh is the home of the Wat Phnom Temple and ideal for residents who like an active nightlife. Toul Kork is fast becoming an economic hub like BKK1. Boeung Kak 1 & 2 is a quiet residential district that is home to many foreigners working for NGO and International Organizations. Sala Kamreuk is where most residential properties, hotels, and commercial establishments are located in the province. 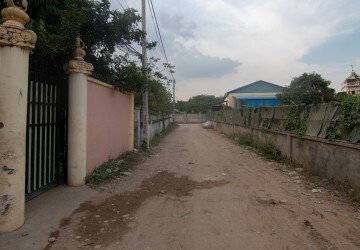 Svay Dangkum is a residential area where most of the nice villas are located. 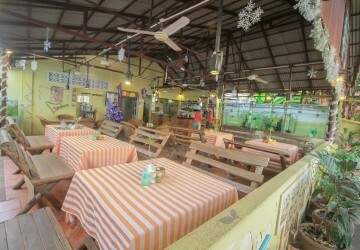 Night Market (Old Market/Pub Street) is comprised mostly of restaurants, bars, hotels, and guesthouses as well as a few residential properties. Slor Kram gets the overflow of tourists. 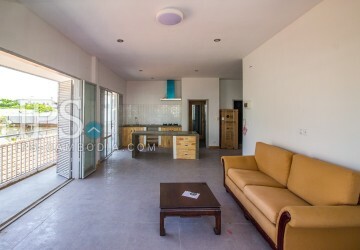 Nowadays, it is also becoming popular with locals and long staying expats due to its proximity to the city center. 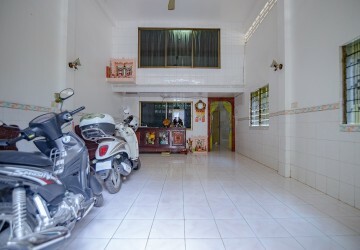 Wat Damnak is comprised mostly of commercial establishments and apartment buildings for long term expats. Chreav is a rural area, with lots of rice fields and has the lowest price for the land. Bakong is a temple area that is popular for its floating villages, rice fields, and rural living. 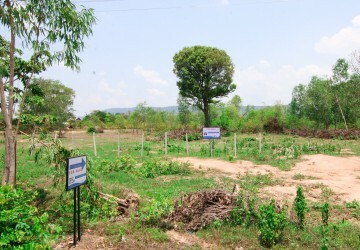 There are no options for apartments but land is available for $6-$30 per sq.m. Wat Athvear is a semi-rural area located along the road to the floating villages, lake tourism area, and the Psar Kroam markets. Kouk Chak is also a semi-rural area but slowly becoming more developed in the past few years. Apartments for rent are already available in this part of the province. Sambour is another rural area. It has got good access to the ring roads will most likely be more developed in the next few years.